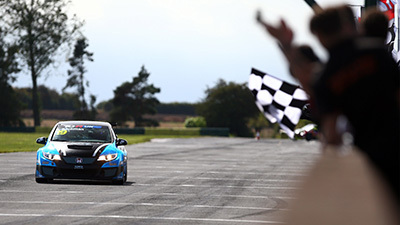 Pictured Eugene Denyssen was awarded the ‘Sunoco Driver of the Weekend’ accolade. 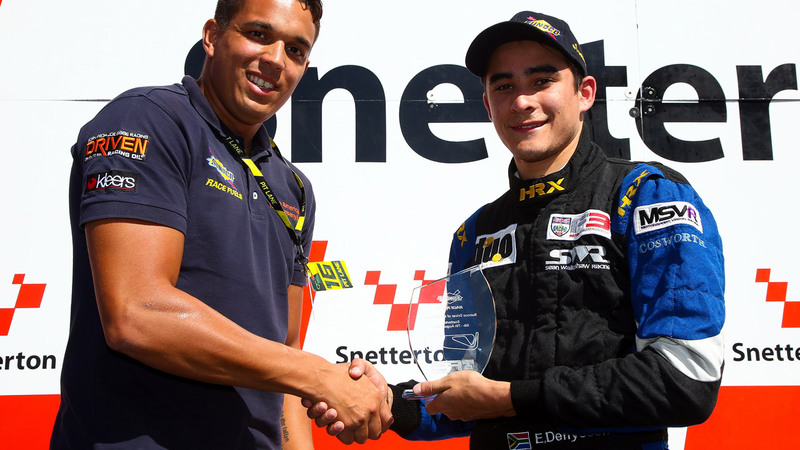 Eugene Denyssen was awarded the ‘Sunoco Driver of the Weekend’ accolade. 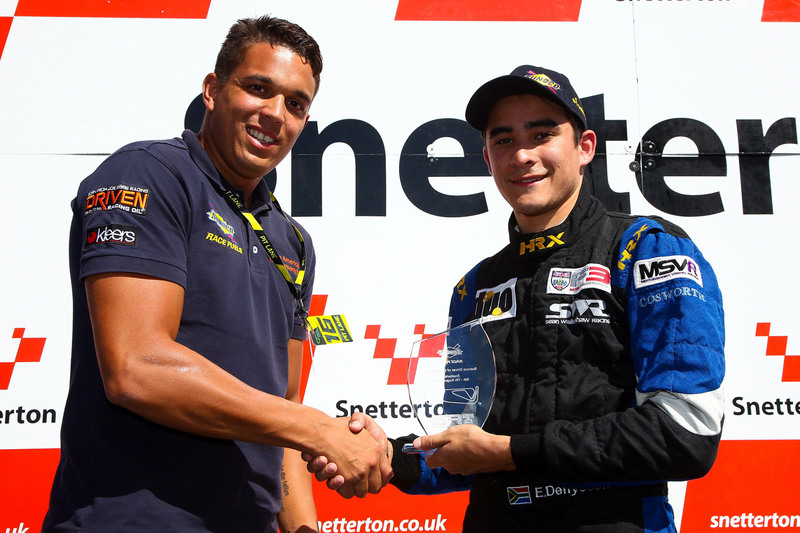 South Africa’s Eugene Denyssen was rewarded for a series of battling performances for SWR at Snetterton 300 Circuit over the weekend, 6th/7th August, during the penultimate BRDC British F3 Championship event of the season after receiving the ‘Sunoco Driver of the Weekend’ accolade. Racing to a pair of top 10 finishes for the Chipping Norton team in rounds 19 and 20, Denyssen went on to finish 16th in the final contest having been shuffled back to the tail of the field on the opening lap and forced to mount a recovery, on a track where overtaking is near impossible in F3 cars. 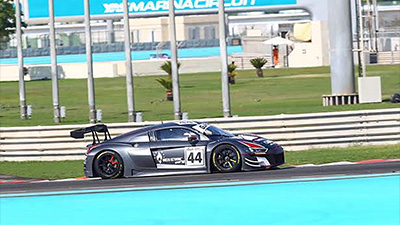 Team-mate Thomas Maxwell encountered the misfortune of a ‘track limits’ time penalty in the second of the weekend’s contests, limiting him to 14th place, after finishing 13th in race one and then an improved 12th in the third outing. 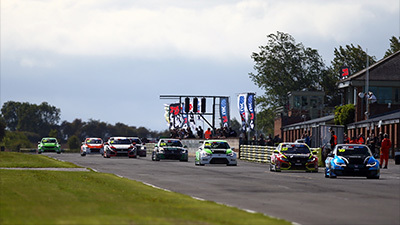 “It’s a shame qualifying wasn’t a bit better as Tom and Eugene both showed good race pace, especially in the last race”, said SWR team owner Sean Walkinshaw, “Both guys were competitive. Tom ran top six pace in the third one, so we know the possibility was there to achieve more if we’d started higher up the order – overtaking is so difficult in F3 at Snetterton. Maxwell unfortunately had a time disallowed for a track limits infringement in qualifying, but still only just missed out on the top 10 with the 11th fastest time of the session. Denyssen, meanwhile, lined-up 15th on the grid for the opening race of the weekend on Saturday afternoon and he put together the best first lap by climbing through into the top 12. Following a three lap Safety Car period, the South African moved into 11th place on the fifth tour and then broke into the top 10 the next time around as a result of a spin for Quinlan Lall. During the second half of the 15 lap contest, precious little changed and Denyssen held 10th spot to the finish. Despite being bundled back to 15th position on the first tour, Maxwell passed Akhil Rabindra after the re-start on lap five and then moved into 13th place at the expense of Lall on the sixth tour and remained there to the chequered flag. Starting Sunday morning’s race in their finishing positions from the previous day, Maxwell swiftly moved up two places to latch into the tail of the sister SWR car and both then applied pressure to ninth placed Enzo Bortoleto. Maxwell came under threat for 11th spot and he was edged back to 12th on lap four before then being shuffled back another place on lap nine. To add insult to injury, the Australian was then handed a time penalty for a ‘track limits’ indiscretion and ended the race in 14th position. Denyssen did pressurise Bortoleto early on but eventually finished 10th, keeping Ameya Vaidyanathan at bay. For race three, Maxwell started 14th on the grid with Denyssen 17th and both drivers faced a very tall order. 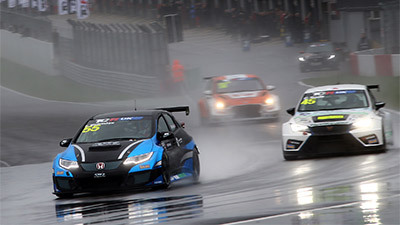 The former gained places on each of the first two laps to climb into the top 12 and during the closing stages he turned up the heat on Aleksanteri Huovinen ahead, finishing the race a mere 0.6 seconds adrift. Although elbowed down to 18th place on the opening tour, Denyssen fought back well and after spending the next 10 laps bottled up behind Rabindra the SWR racer managed to get ahead on lap 11 at the exit of Agostini – a great move. He then gained 16th during the latter part of the contest. All attention now turns to the final event of the British F3 season, rounds 22, 23 and 24, over the weekend 10th/11th September at Donington Park Grand Prix Circuit in Leicestershire.